An Autonomous Vehicle Software Startup nuTonomy. The world's first self driving taxis to hit roads in Singapore. Selected members of the public will be able to hail a free ride through their smart phones in taxis operated by an autonomous vehicle software startup, nuTonomy. 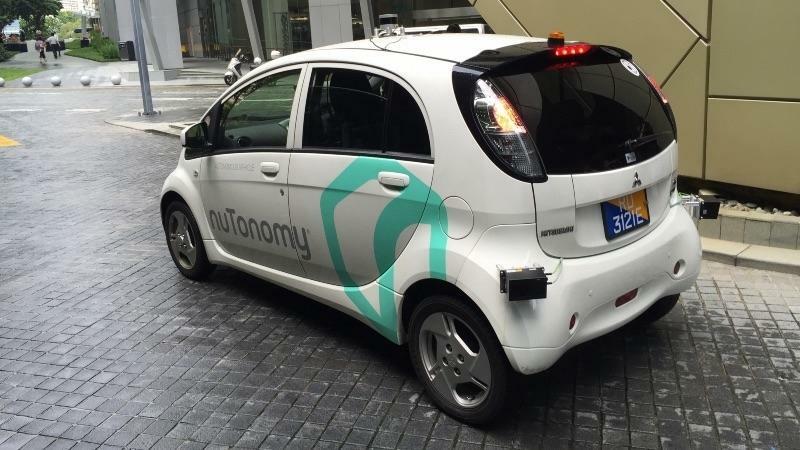 According to the company officials, the service will start with small six cars and will have a fully self-driving taxi fleet in Singapore by 2018. The cars are doing the driving themselves, and the driver is only there to monitor the performance and as a backup in case something goes wrong. Each car is fitted with six sets of a detection system that uses lasers to operate like radar. There are also two cameras on the dashboard to scan for obstacles and detect changes in traffic lights. Company officials also said that they are working on testing similar taxi services in other Asian cities as well as in the U.S. and Europe.